Join us as we explore Wolf Park and learn about the fascinating wolves who reside there. Let’s rock around the clock! Come support TCHA as we jitterbug and jive all night long with delicious food and a musical performance by the Purdue Musical Organization’s Purduettes trio that you won’t want to miss. There will also be a silent auction as well. Early Bird Special for tickets: $35 per person if purchased before March 31st. After March 31st, tickets are $40 per person. Reserve a table of 10 for $350. Tickets can be purchased by going online at Eventbrite at https://www.eventbrite.com/e/1950s-rock-n-roll-spring-gala-tickets-57408447211. Nothing has been part and parcel of American agriculture and food habits more than the chicken. This East Asian bird has not only found its way to our tables but also our language. From “The Little Red Hen” children’s story to chicken terms descriptive of people, we can’t avoid chickens. This presentation with Thomas Turpin is a look at the history of chickens in the world, the US, and Tippecanoe County with a little help from Henrietta! Complimentary wine & cheese provided. Celebrate the historic May 20, 1927 flight of “The Spirit of St. Louis” with screen legend Jimmy Stewart (“It’s a Wonderful Life,” “The Philadelphia Story”) as aerial legend Charles Lindbergh. Writer-director Billy Wilder (“Some Like It Hot,” “Double Indemnity”) brings a lavish, suspense-filled recounting of Lindbergh’s historic trip from New York to Paris, the first non-stop solo flight across the Atlantic, based on the famous pilot’s autobiography. Members are encouraged to bring in their antiques and curiosities and share with us their unique story. This is followed by a special presenter who will then talk about an object in more depth and its history as it relates to Tippecanoe County. This show and tell presentation titled as “Joe Halsmer’s Flying Car” will be done by Pete Bill, Tippecanoe County Historical Association Board President. One of the most inventive, tinkering families in Tippecanoe County was highlighted in a national publication for their innovation that combined America’s love of the automobile and its dream of flying. The Indiana Veterans’ Home has been proudly serving Hoosier veterans and their spouses in West Lafayette since 1896. IVH Director of Communication and Technology, Emily Larimer, and IVH Chief Counsel, Joy Grow, will present on the rich history of the Indiana Veterans’ Home encompassing the last 120+ years. They will discuss campus changes over the years, artifacts in the IVH Historical Collection, selections from the Lawrie Portrait Collection, interesting factoids and points of note about the property and organization, and the historical significance of the remaining original buildings. 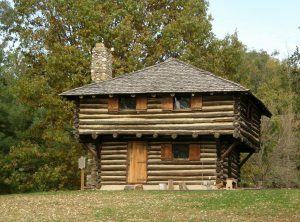 Join us at the Fort Ouiatenon Blockhouse for French Living History Events portraying the French colonial period of the early 18th century. Talented living historians will be on hand to talk about the French fur trade, Native American and French culture of the period. No admissions. Programs are free. One of the most accurate tellings of the famous James-Younger gang with a unique cinematic twist that adds a new dimension to the story. Action packed with wonderful cinematography and direction by Walter Hill. This show and tell presentation titled “D-Day and the Flying Irishman of Lafayette- Mike Murphy” will be done by Pete Bill, Tippecanoe County Historical Association Board President. Hear how a Tippecanoe barnstormer went on to lead the glider invasion of Normandy on D-Day. Purdue University has a long history of famous traditions from the world’s largest drum to Purdue Pete. However, there may be some traditions that you are not aware of or some you may have questions about, such as how did the fight song “Hail Purdue!” start? Here is your opportunity to get some answers to all of your questions with David M. Hovde. Join us as we dive into traditions of Purdue.